Mercedes GP have been quick to pounce on the sponsorship scraps left by BMW’s withdrawal from Sauber by picking up title sponsorship from Petronas, the Malaysian oil and gas giant. That means the simple name of Brawn GP will be replaced in 2010 with the rather long winded Mercedes GP PETRONAS Formula One Team. Quick mockups of proposed livery have been uploaded to the Brawn GP website and a second image can be seen after the jump. Ross Brawn and Nick Fry can hardly believe their luck, given this time last year they were faced with the very real prospect of having to sack all of their 700 strong staff after Honda quit F1. Of course, we now know the two men were able to take control of the team, saving it from obscurity. Then the fairy tale season that was 2009 happened and now the team has emerged as one of the strongest teams on the grid. And that applies no matter if you’re talking, financially, technically or in regards to tactical ability. It would seem that only the Schumacher comeback can now complete this stunning transformation. With Nico Rosberg locked in already, Nick Fry has said that Mercedes GP will not be announcing their second driver until early 2010. How much of that is bluster is unknown, but it is worth noting that Schumacher’s 41st birthday is on 3 January. Are you thinking what I’m thinking? The full statement announcing the sponsorship agreement between Mercedes GP and Petronas can be viewed below. Monday 21 December 2009 – Mercedes GP is delighted to announce the signing of a long-term agreement with PETRONAS which will see the Malaysian national oil and gas company become the title partner to the new Silver Arrows works team. From 2010, the new team will compete in the FIA Formula One World Championship as the Mercedes GP PETRONAS Formula One Team and will carry the distinctive PETRONAS branding across the car and team liveries. 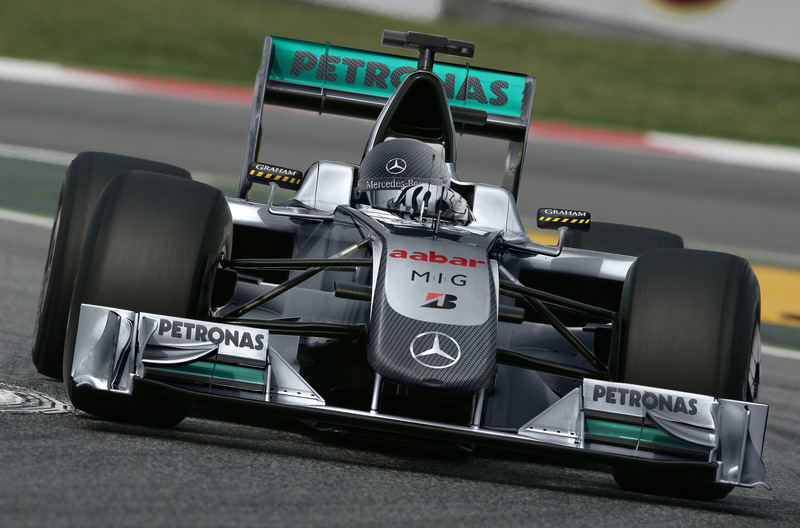 Leveraging Mercedes-Benz’s rich motorsport heritage and the long-standing involvement of PETRONAS in Formula One, the new title partnership also paves the way for future collaborations between the two companies. For PETRONAS, the partnership will enable the oil and gas giant to generate sustainable business growth, particularly in their downstream lubricants market, through the strategic partnership and business alliance with Mercedes-Benz, one of the most prestigious global automotive brands. The Mercedes GP PETRONAS Formula One Team’s challenger for 2010 will make its track debut in its new livery at Valencia on 1 February 2010 for the first of the pre-season tests ahead of the 2010 Formula One season. 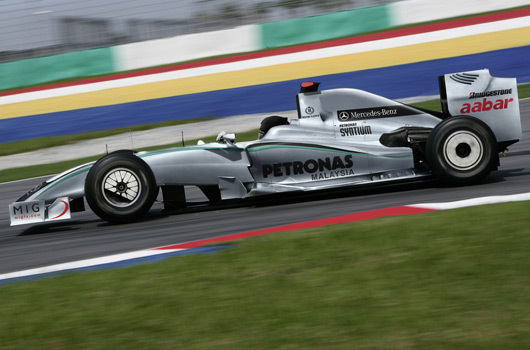 PETRONAS will continue to be the title sponsor of the PETRONAS Malaysian Grand Prix, scheduled to be the third race of the new season, which will take place at the Sepang International Circuit on 4 April 2010.